Last weekend we celebrated two of our grands birthdays. The theme was to create color. Here is an idea that the kids loved and can easily be created when you use either a cake mix or your favorite white cake. I'm going to share the frosting recipe here. I've used this frosting for years to decorate squares and cakes and it's delicious and creamy. It is not too sweet and mimics true buttercream beautifully. This frosting that will stay moist so that the artist can easily decorate their little cakes. I used a flower shape tip to create the curly ribbon effect. Combine the flour, salt and about 1/2 cup milk in a saucepan and whisk it until there are no more flour lumps. Whisk in the remaining milk . Bring to a boil over medium heat and then simmer for several minutes so that all the flour is cooked. Remove from heat and place plastic wrap on the surface cool until room temperature. Be sure it has no hint of warmth left since it will make a greasy texture to the frosting once you add the butter. Use a stand mixer if possible or a hand mixer, beat together room temperature butter and sugar until the sugar has dissolved. Add the cooled flour and milk mixture and vanilla. Beat the frosting until light and fluffy, resembling whipped cream. The frosting can be kept at room temperature for several hours or made ahead and refrigerated. Before frosting your cakes, allow to come to room temperature and beat briefly to make smooth again. This frosting is best served at room temperature. Makes enough to generously frost 3 dozen cupcakes. where do you add the rest of the milk? oops.. thank you! I've added that in. Thanks so much for sharing this frosting recipe Lovella! I just love the idea of the kids decorating there own cupcakes in this way. Are you supposed to split the flour too? The recipe reads as if you do. Sorry for that confusion. I had changed the wording of the method several times and forgot to remove that sentence. 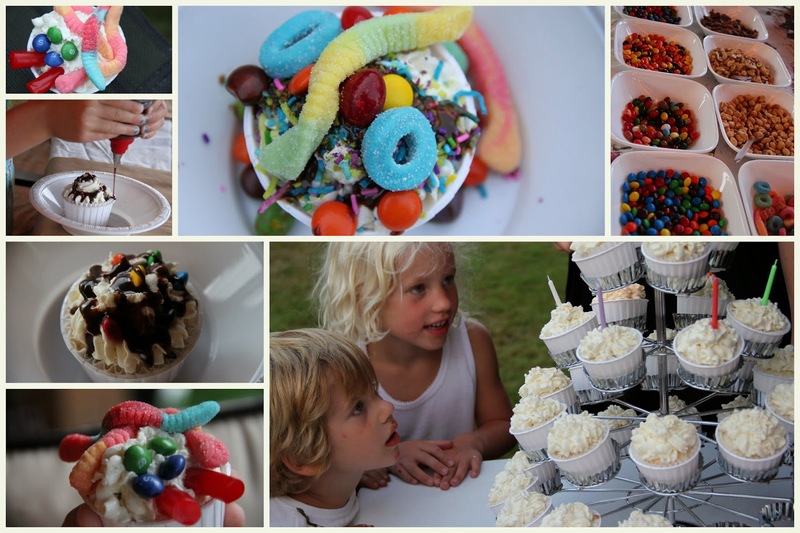 I love your cupcake stand and what a neat idea to let the kids decorate their own cupcake! Thank you Julie. I am going to add those instructions into the recipe. I grew up with this icing, only we mix the sugar in with the flour and milk. That way it is always dissolved and there is never a chance of it being "grainy". I always cook it in the microwave so I don't scorch or burn it on. If you have left over icing it freezes well. What a great idea! Thank you for the recipe too. I just googled this recipe because a friend has a version from her grandma and has asked me to make it for her wedding. It is at the last stage in my mixer now, and is runny! So runny. Not sure what has gone wrong or if it is eventually supposed to whip up soft and fluffy. Any advice? I did cook the mixture last night and cooled it fully, it did thicken, but only to a gravy consistency. I want it to be good for their wedding. That is not good. The flour and milk mixture should be really thick once it has cooled. Try to put it all in the refrigerator for about 30 minutes to see if it will start to firm up. Then before it gets too firm, whip it some more. It should be soft but certainly not runny.